As a New York City Public School kid, Mid-Winter Recess has always been a special time. It means a week off from school for teachers and students starting on President’s Day. 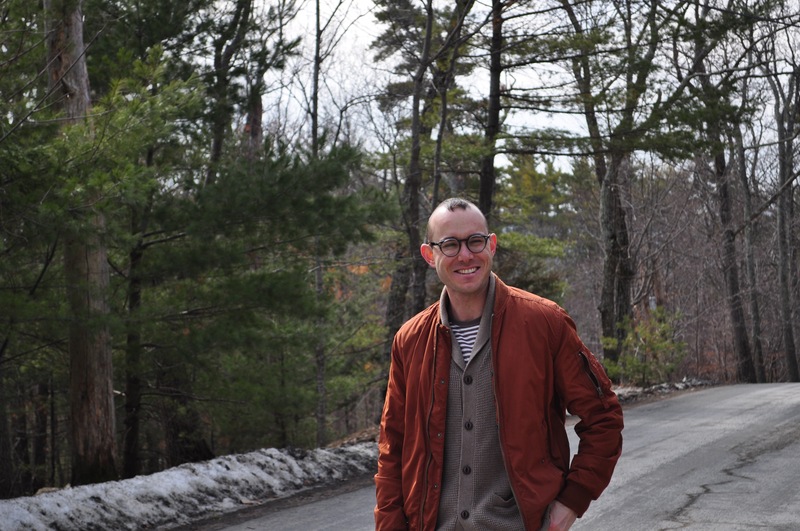 I took serious advantage of my teacherly time off this year by booking a much-needed three-day bday getaway to Woodstock with my beau. Fun fact: My boyfriend and mom share a February 22nd birthday. 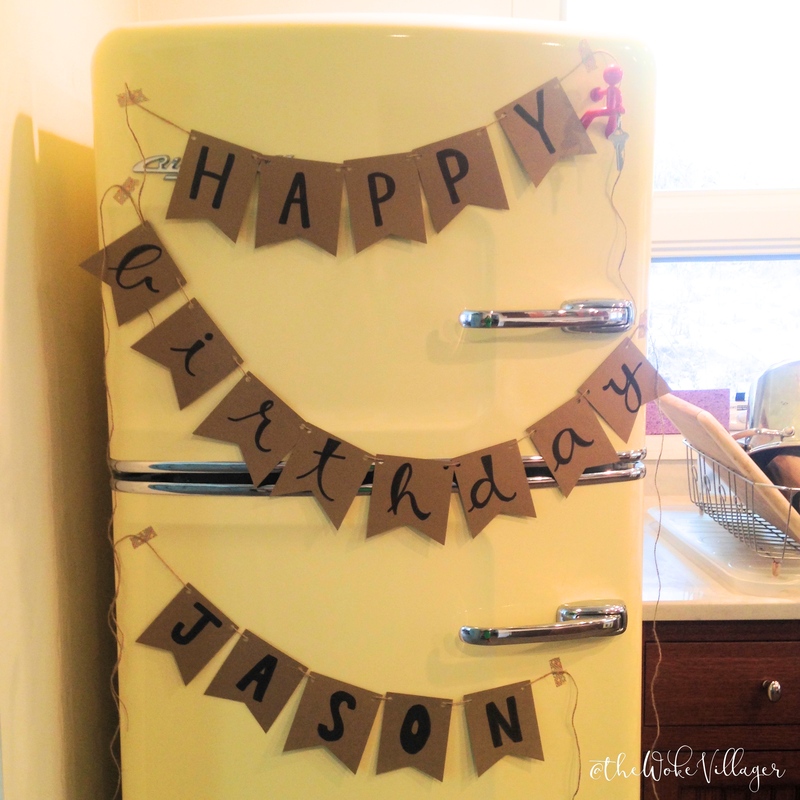 Since I love crafty things and can’t let my hands stay idle for too long, I made a paper banner to surprise Jason on his birthday morning. Here he is after his bday banner surprise! 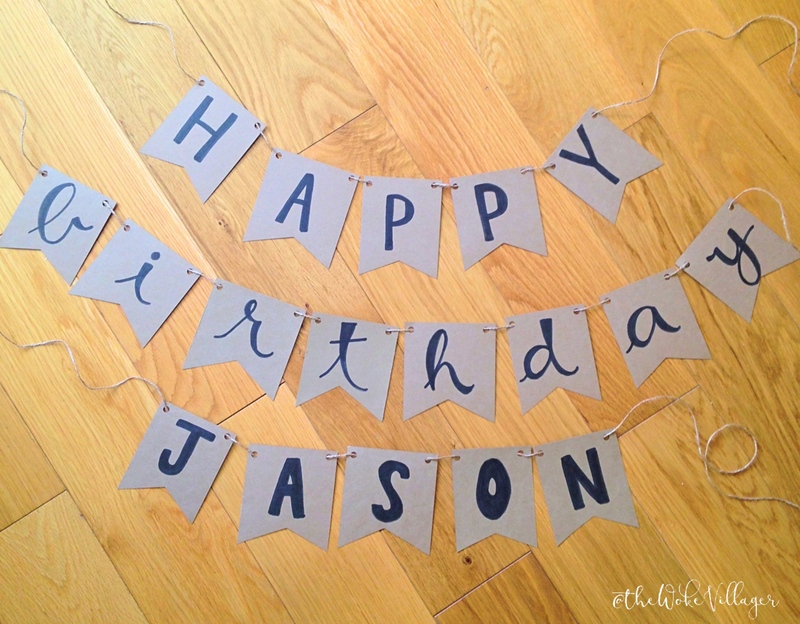 I needed 18 flags to spell my words: HAPPY (5 Letters) + BIRTHDAY (8 letters) + JASON (5 letters). I didn’t want my flags to be uniform in size, so I used my paper cutter’s ruler to help eyeball measurements for 6 flags from each piece of 8-1/2″x11″ cardstock. I started by cutting each sheet lengthwise at around 4-1/4″. Then I cut each strip into three pieces ranging in length from 3-1/2″-4″. Don’t have a paper cutter? A ruler, pencil, and scissors are tried and true, or even better–a precision knife (like an X-Acto) and a T-square! If you want flag uniformity, you can get 6 flags from one piece of 8-1/2″x11″ paper by cutting the piece lengthwise at 4-1/4″ and each strip into three rectangles that are approximately 3-10/16″ wide. Once my rectangles were cut for the flags, I just took my scissors and cut a shallow triangle from the bottom of each piece (again, eyeballing it). Then I split the flags up by word and wrote in the letters. Next, it was time to punch holes in the top corners of each flag for the twine. Since I only have a 3-hole punch, as opposed to a 1-hole punch, I lined up a corner of each flag with the middle hole punch for each hole needed. 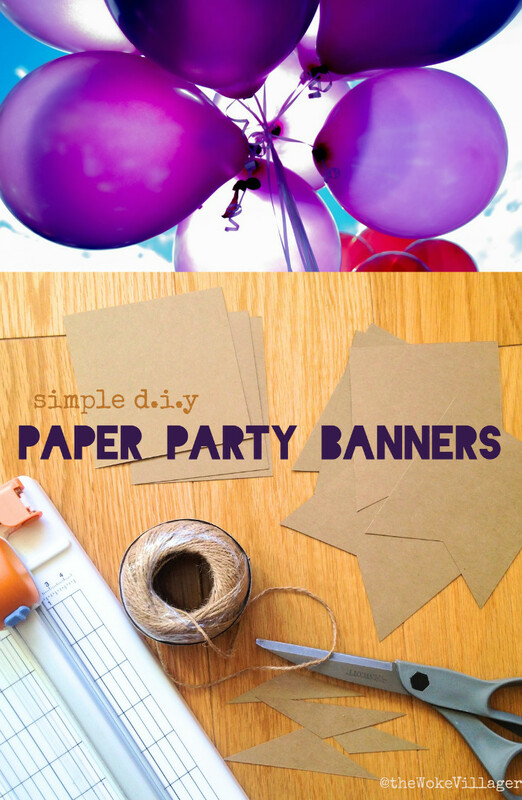 One of the best parts about a paper party banner? 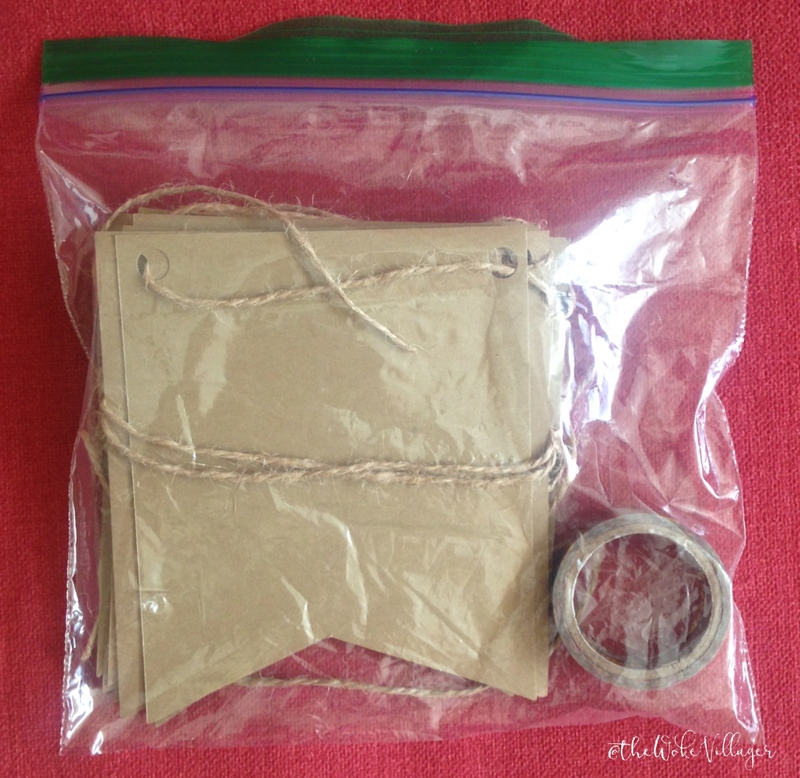 It packs up nicely into a discrete little sandwich bag situation! The Woodstock house ended up surpassing expectations in cuteness and comfort and I snuck these babies up before Jason woke up on his 30th day! And don’t worry, plans are in the works for a family get together to properly celebrate my mom’s 70th soon!